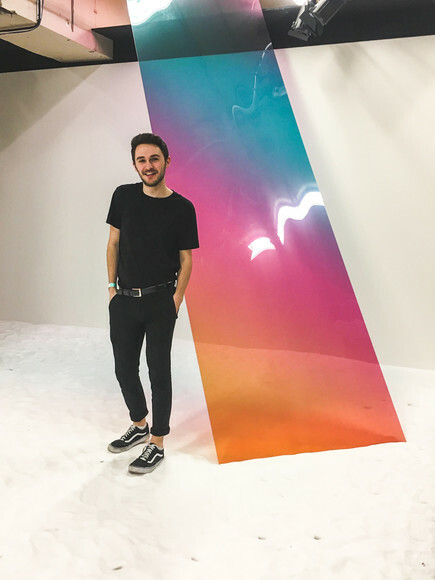 All Saints' Academy alumnus Josh Domm got a head start with his future career when he gained a glamorous work placement at one of London’s biggest fashion events. Josh, who is currently in his first year studying Events Management at University of Greenwich, London, has just finished working at London Fashion Week. Josh commented “Living independently in central London is such a highlight as it comes with all the insane benefits it brings to my career, social life and daily activities. “I love that I’m studying a course which is fun, exciting and is going to lead me into a creative career in the events industry. It shows that university was honestly perfect for me even though I haven’t gone on to study an academic course. Having already achieved first class honours grades for all assignments completed at university so far, Josh assisted the London Fashion Week production team with the running of the show, an experience he hopes will one day lead to him managing a show himself. “I believe I was able to gain this work experience due to the confidence All Saints’ Academy gave me – it was while studying at ASA that I was provided with membership to the Talent Tap scheme. This programme helps school leavers find work experience in the industry they wish to explore, and taught me to put myself out there and network with the right people in the events industry.